Necking in copper wire. 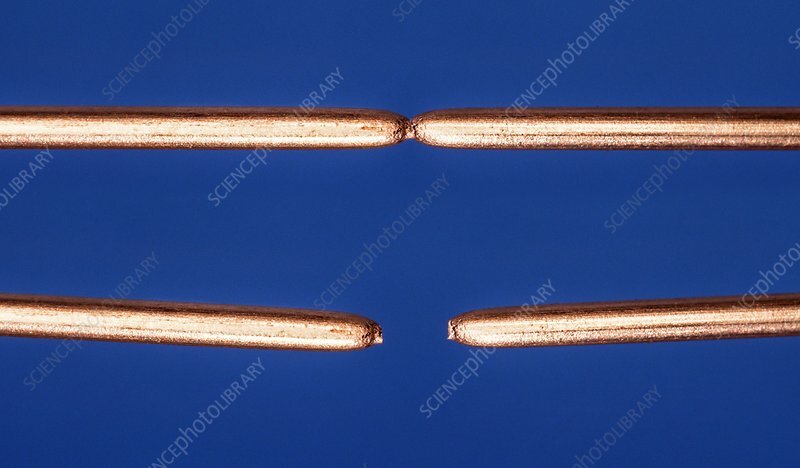 Close-up views of a piece of copper wire that has been stretched to breaking point showing localised narrowing ('necking') around the breaking point. This narrowing (a deformation under tension) happens in ductile materials, and occurs just before the wire fractures.